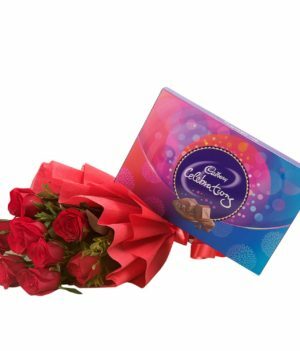 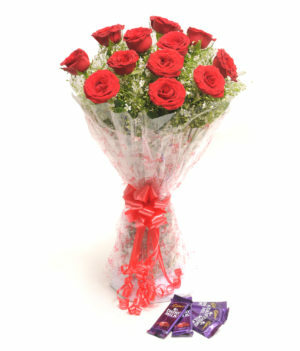 Bunch of 12 long stem Mix colour roses in a paper packing with 200gm Ferrero rocher chocolate box. 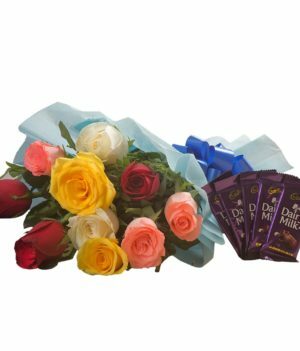 The astounding beauty of mix colored roses paired with Ferrero Rocher chocolates will definitely captivate the hearts of the receiver. 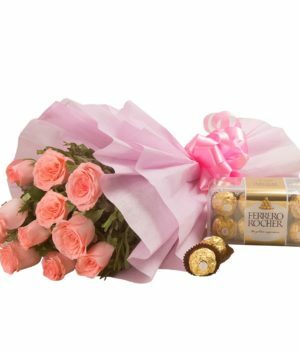 This combo contains 12 long stem mix color roses wrapped up in paper packing, and 200g ferrero rocher chocolates in a box. 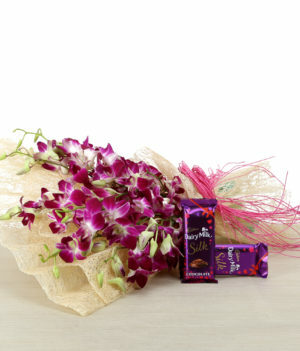 It exclusively prepared by wishbygift.com for all glorious and fascinating celebrations. 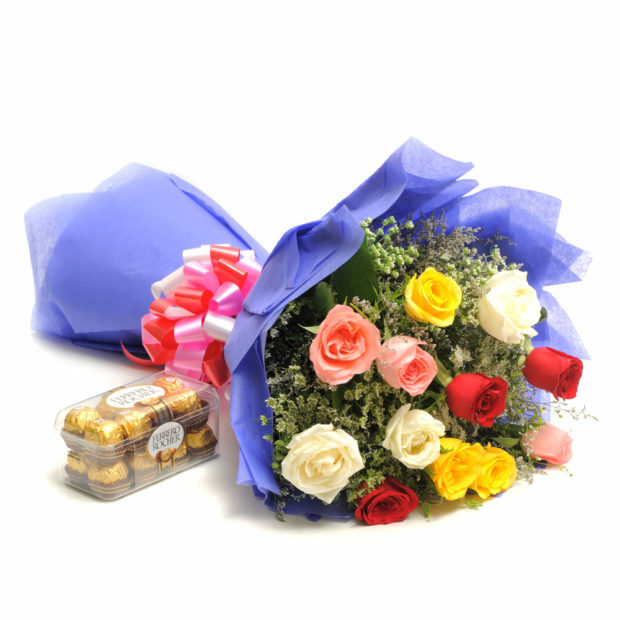 Gift them to your closed ones and make any occasion memorable and charming.